It’s been a crazy couple of weeks in my world. Between packing up my entire life and looking for an apartment in New York City, my schedule has grown even more hectic than usual. Suffice it to say that fashion and beauty have taken a back seat to things like hiring moving guys (ugh). Fortunately, there are many ways for gathered ladies to save time and still look great. Today, we shall take on the manicure. Below, I’ve pulled together a few tips for making your mani last a week or longer, which means less time spent removing and reapplying polish. 1. Keep your nails short. Not only are shorter nails more practical if you have any regular interaction with a keyboard, they are also less likely chip or break. Longer nail are more prone to bending, and your nail have a lot more give than your nail polish. Nails that are just a little longer than your nail bed can still be feminine and attractive, just be sure to file your nails into a shape that is flattering. I prefer rounded nails for myself, because that shape tends to elongate the appearance of your fingers. 2. Don't soak. Even though your nails are hard, they're still porous. Soaking them will cause your nails to expand as they absorb the water. The subsequent contraction that occurs when your nails dry will cause the inflexible nail polish to fracture and loosen. To prep your cuticles, just use a cuticle softener instead. 3. Make sure nails are clean, dry and smooth. Buff any ridges on the top of your nails smooth to prevent the final results from looking bumpy. Clean your nails with a nail brush or old toothbrush and follow up with rubbing alcohol or finger nail polish remover to ensure that every ounce of lotion and body oil is gone. Make sure your nails are 100 percent dry before you begin polishing. 4. Use the right base coat. Base coats are great. They protect your nails from whatever crazy color you have planned for them. And the right base coat will also help bond your nail color to your nail. Try a sticky (sometimes called adhesion base coats) base coat the next time you polish your nails. 5. Neatness matters. Not only are messy nails less attractive, they also chip faster, turning them into a double hot mess. Getting nail polish on your cuticle creates an unnatural edge that will begin to lift and chip when the dried nail polish flakes away. This is only exacerbated by your natural nail growth. Aim to leave a slim sliver of bare nail as the no-man's-land between your polish and your skin. 6. For drying, kick it old school. UV lamps seem like a big step forward in nail care technology, especially compared to the humble fan. But! Just because something is faster doesn't make it better. The heat emitted by UV lamps prevents your nails from curing properly, making them chip faster. This also means you should generally avoid heat (like washing your hands in hot water) for 12 hours after you polish. 7. Protect your handiwork. Washing dishes? Gardening? Doing other finger intensive labor? Protect your nails with gloves. Need to add another key to your key ring? Enlist the help of a bare-nailed friend. Generally speaking, just try to avoid doing things that will jack your nails up whenever possible (and practical). This is the step I'm least likely to follow myself, but it really does help! 8. Stay moisturized. Get a bottle of cutile oil or a stick of cuticle balm. Use it regularly. Extra-regularly when it's dry or cold. You and your hangnail-free fingers will thank me. My last mani stood up to 10 days of typing, hair-shampooing, dish-washing and just life in general. Give these tips a try and let me know how they works for you! Have any special mani tips of your own? Share them with us on Facebook or Twitter. 1. It's Natural. For all concerned about chemicals, carcinogens, perfumes, dyes, and all things not naturally occuring in nature, be soothed. 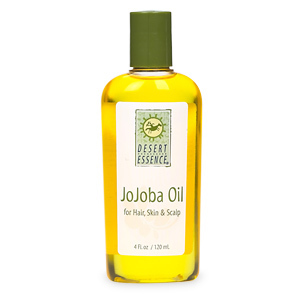 All the oils perfect for your beauty needs are naturally occuring oils from plants growing in nature. Other oils are herb-infused plant-based oil. 2. It's Universal. No matter what your culture is, where you live, or your race, women all over the world since the beginning of time have used oil in their beauty rituals. Unless you are not from earth. In which case I say... nanu-nanu? 3. A Million Types. A Million Uses. There are literally hundreds of oils that have beauty applications. Some are rare, some are positively ubiquitous. Some are sitting in your kitchen cabinet right now, just waiting for you to realize that they would just do wonders for your hair's shine, your cuticle's softness, or your hormonal acne. Wake up! Transfer some of that stuff from the kitchen to the bathroom and enlarge your beauty arsenal. 4. It's Cheap. For the most part. One of the best things about oils is that they are mostly cheap, especially when you consider: a) the comparative cost between synthetic beauty products, b) the fact that most of them are wonderful for hair, skin, and nails all at once, c) you can add small amounts of oils to many of your existing products to increase their effectiveness, and d) you can make many many infused oils at home! You wanna look like this, dontcha? These oil infuses other herbs easily and wonderfully. Not enough can be said about this oil, which happens to be the most like the natural oils produced by human skin and therefore able to penetrate the skin and hair shaft like no other. Great for direct application to the skin. Mixes a million ways for hair and skin products. Hair staple -- mixes with other oils and shea butter for an amazing deep conditioner. 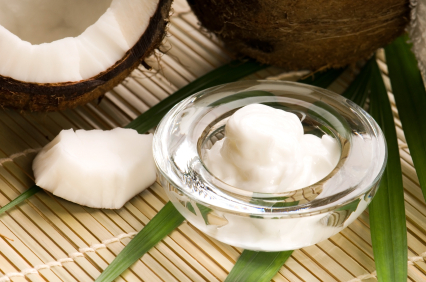 More pleasant flavor alternative for oil pulling. Besides its laxative effect when ingested that your granny might use, this oil has miraculous, regenerative growth properties. Direct application to eyebrows, eyelashes, and damaged hair causes thickening and re-growth (I'm an eye-witness to this one!). Great for wrinkles, cracked heels, skin moles, and stretch marks! Also is sometimes used successfully as a cleanser for the face in lieu of soap and water. Jamaican Black variety is more raw form for even more hair and skin growth properties. Amazing light oil for the hair and skin. Can be used as a great massage oil. Tames flyaways and adds shine without weighing hair down. My hair loves this oil for styling! This one can be used as a "carrier oil" to seal in other skin products and deliver their healthful ingredients deeper into the skin layer. Comes from the a specific area of Morocco only. This one is rarer, but becoming more popular and can be found in more and more places. Argan Oil is great for the hair as a styling and finishing oil. Great for the face -- mask, toner, lip moisturizer. A favorite of mine! Indian Ayurvedic amla is sold in both an oil and powder form. I far prefer the oil. Also this is sold as both an "Amla" and an "Amla Lite". I use the Amla Lite from Dabur with great results. Amla has a strong scent which you may or may not like. This oil has darkening and thickening properties, and Indian women have been using this oil for centuries to get rid of their grey along with henna. Amla can change your henna color (deepen) among other things. Amla is said to combat lice and dandruff. It will bring a ratty weave or wig back from the dead <-- Yes I went there. Yes, from experience. The uses of tea tree oil for cleaning and medicine are more than well-documented. But that anti-bacterial, anti-fungal powerhouse oil is also useful to your beauty regimen for the same reason. Perfect for adding to homemade conditioners, spritzers and mixers. 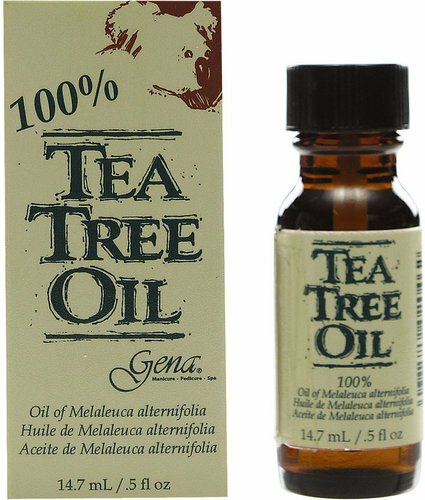 Dandruff, nail fungus, acne... none are a match for a few drops of tea tree oil applied regularly! Tea Tree Oil is functional and aromatic. 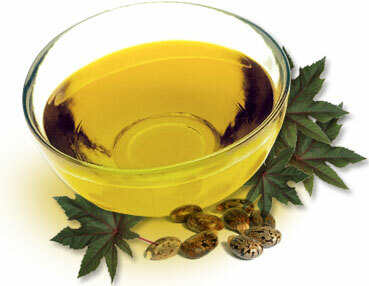 It has aromatherapy properties that make it a good bath additive or massage oil additive. And just because I'm a champ, I've put together this handy chart for you guys! Well what do you guys think? Have I sent you running off to the kitchen, the store, Whole Foods, or to the conveniently located olive tree in the backyard to buy some oils today? I hope so. Before you get into using these oils, do a bit of googling and reading for yourself, and you'll see that my list here is just the tip of the iceerg on oil types themselves, as well as uses for the ones that I wrote about. Share your thoughts, opinions and findings with us by email and facebook! As an emerging personal stylist, I get asked all the time where I shop. I also get asked about my beauty products just as often. This is where it's at! Beauty products are the finishing touch to your overall look, that extra sparkle that makes people stop and stare. So obviously it serves you well to keep them a secret. Right? Well, I've been contemplating sharing my trade secrets with others for a few weeks. And it occurred to me that the only people who should know what's inside Bree's beauty bag are our loyal and lovely readers of The Gathered Lady! As you know I'm all about PINP'in (Poise in a Pinch), so these beauty finds will yield fabulous results without busting the bank! Approx. $15-$20 for 4oz bottle. CVS, Online, Beauty Supply Stores. ABSOLUTELY WORTH IT. This product is a MIRACLE worker. I have curly 3c/4a hair and I would always have to chop off an inch or two when I straightened it due to split ends and pixie knots from drying and wear and tear. After implementing this spray, as well as the next product, I have not had to trim my ends again. It's a phenomenal product. My hair detangled so much easier with this product, and it smells good. This product also works wonders on straight hair. My old roomie initially put me on to this product and she has long bone straight hair. She reported the same findings, that her hair was much stronger and had better ends and more damage-resistant to constant flat iron use. Approx. $6-$10. CVS, Target, Online. Another MIRACLE worker. This light oil makes me hair smooth and shiny and it retains water better because of the moisture locking properties. I use the Organix Moroccan Argon Oil type. $9-$20 depending on size. Online Silkology.com or Sleekhair.com. Independent distributors. Yes, you read that correctly. This is one of my favorite secrets. I read this in a self-help book written by a man. He said after years of working with models, it's an industry secret. Don't wash your face with anything but hot water. Seriously, it doesn't matter how much make-up I have on, this works. I will remove waterproof eye make-up with olive oil on a cotton ball, but that's it. I even wash the oil residue off with more hot water and a face cloth. I haven't used soap on my face since Feb 2013 and I've had no more pimples. Period. Amazeballs. This can be bought at any drug store or dollar store for a few bucks. It works wonders on any possible zit or bump. It helps lock moisture in your skin and reduces swelling and redness for any pimples. Caution: don't use everyday or multiple times per day as your skin will get used to it and it will lose it's effectiveness. I use it 3xs per week at night after washing my face before bed. This is great for removing waterproof eye make-up or face stains. But this old school product is best for making your legs have celebrity status shine. I apply some down my calves right before I step out the door. It makes a total difference in pictures. Bonus use if you're prone to visible cellulite or stretch marks,etc. The light reflects away from scars and helps create flawless looking skin. This line is made specifically to save money. I love it! I use the powder brush to apply foundation. It creates a more even & buffed appearance in your foundation coverage, rather than a traditional paint-brush shaped foundation applicator. The stipple brush is amazing for adding highlights to your cheeks and contour lines of the face. I swirl it in my gold shimmer dust, then swipe across my cheeks and Tzone. It captures the perfect wispy amounts. This line of lipsticks is potent and full of beautiful colors. The lipstick applies smoothly and richly. It lasts on your lips for hours (more than 4). I always get compliments on these shades. My favorite shades are "Bare It All", "Sugar Plum Fairy", "Purty Persimmon", "Wine Room", and "Mauve Outta Here"
This adds highlights to your face, making you camera ready. It also gives you a healthy glow that makes people think you drink gallons of water! I swipe it on the high angles of my cheeks and across my T-zone. I saved the best for last. Latisse works! BUT it's almost $100 a pop. Boo! Luckily, there's a generic version called Careprost. I coughed up the $100 for Latisse last winter as a bday present, and sure enough my lashes grew waaaaayyyyyyyyyy longer and fuller than any length they had been my entire life. But once I caught wind of Careprost, I hopped the PINP train and I'm totally satisfied and have maintained my Latisse length. Do you have any PINP beauty secrets? Have you tried any of these products and had great results? Share your pics and products with us, and if we like it, we'll share! Connect with us at Facebook, Instagram, or Twitter @ Thegatheredlady. Gathered girls have good hair. Period. The Gathered Lady understands the power behind your coif looking well maintained and it's ability to finish off your look. That's why were so please to have our ATL affiliate Queen Aftan attend celebrity hair stylist Nataki Minix's grand opening of her salon Star Taki Hair Lounge in Atlanta. The event was chic with drinks severed by The Perfect Bartender, music by DJ E-Clazz, tasty delicacies and mingling with stylistas and celebrity guests such as Mimi Faust (Love and Hip Hop Atlanta). We spot several of this seasons hottest looks in the crowd. Check them out and get your weekly style inspiration quenched! Summer blazers can add sturcture and upgrade any outfit. A true fashionista can wear separates like pants and tops and look fab. Urban appeal is always a hot look if your rock it properly like these ladies. Do you and your friends have hot style when you go out? Submit your cute pics to thegatheredlady@gmail.com or connect with us on Facebook, Twitter, or Instagram @ TheGatheredLady and if we like them, we'll share them.